Like many famous monuments the Christ Redeemer, at the top of the Corcovado, has been used many times in movies. Here is a list of movies in which it appears. And we start with a cartoon, Rio. 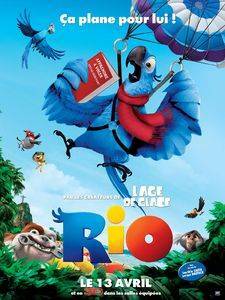 Released in France on April 13, 2011, this one-and-a-half-hour film by Carlos Saldanha tells the story of Blu, a rare blue parrot who chooses to leave the comfort of his cage, adventure in the heart of the exotic wonders of Rio de Janeiro. Of course, he will encounter many difficulties that he will manage to avoid thanks to friendly encounters. Rio is aimed at younger people, it puts forward the spirit of initiative, adventure, and above all the desire to discover the world. 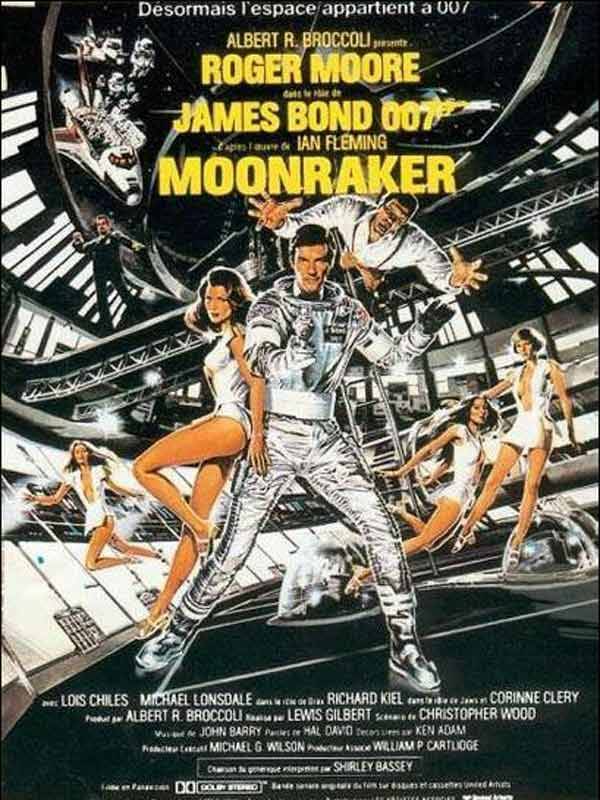 It is of course in 2012 that this film with special effects magisterial. The idea is that according to the Maya calendar in December 2012 was to take place the end of a time cycle of more than 3000 years, cycle whose end marks the renewal. 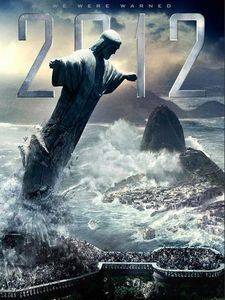 In the West, it was interpreted as the end of the world, and it is quite naturally that a film came out on this theme. Unfortunately if the action scenes are successful, it is not enough to make a good movie. The characters lacking in thickness, the spectators can not project. There have been several posters, but this one is centered on Christ the Redeemer. 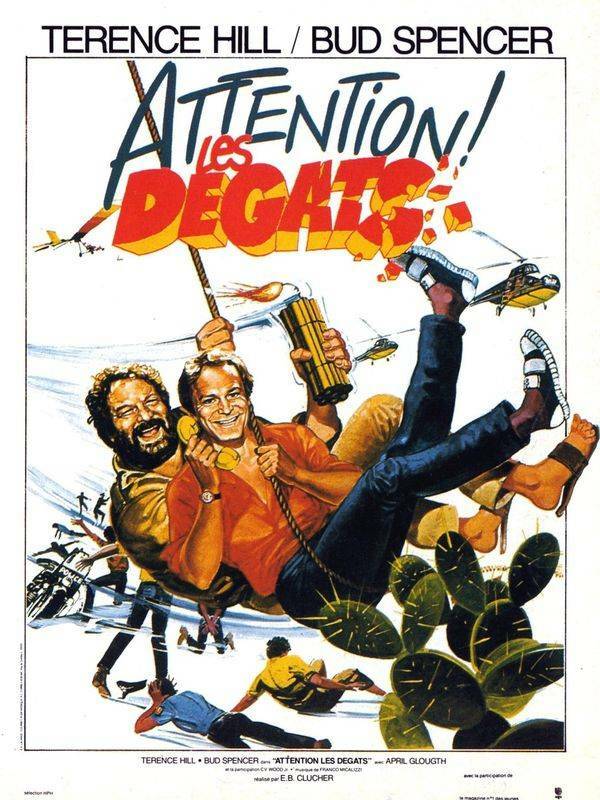 Beware for damage is an Italian film directed by Enza Barboni in 1984. 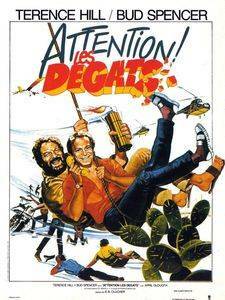 It involves the well known comic duo of the time, Bud Spencer and Terrence Hill. The story tells the adventures of a stuntman and a musician, two look-alike two billionaires, agreeing to take their places during a getaway during which strangers will try to make a big deal fall that billionaires had to sign. Nowadays we can see this comedy as a little heavy, it does not possess the codes of modern comedy. Dhoom 2 is an Indian film, Bollywood blockbuster. It was shot in English with the most famous Indian actors at the time of its release. It is a modern action film, rhythmic, with big means, mixing spectacular action scenes, humor, romance, dances and songs as they know how to make the Indians. The style also recalls "Mission Impossible", with the beautiful Aishwarya Rai. A film that allows to feel well without time out. If he is here, it is because the redeeming Christ appears in a sequence. The fifth installment of the famous franchise full of testosterones and oil, we find our main characters in the city of Rio in pursuit of a drug trafficker (what originality). 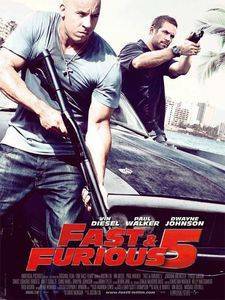 From pursuit in the favellas to the most famous beaches of the city, this film is a succession of racing chases and shootings. The Redeemer Christ is visible once or twice on large planes and on a sequence during which the camera passes over the Corcovado, a plan intended to mark the place of the action. 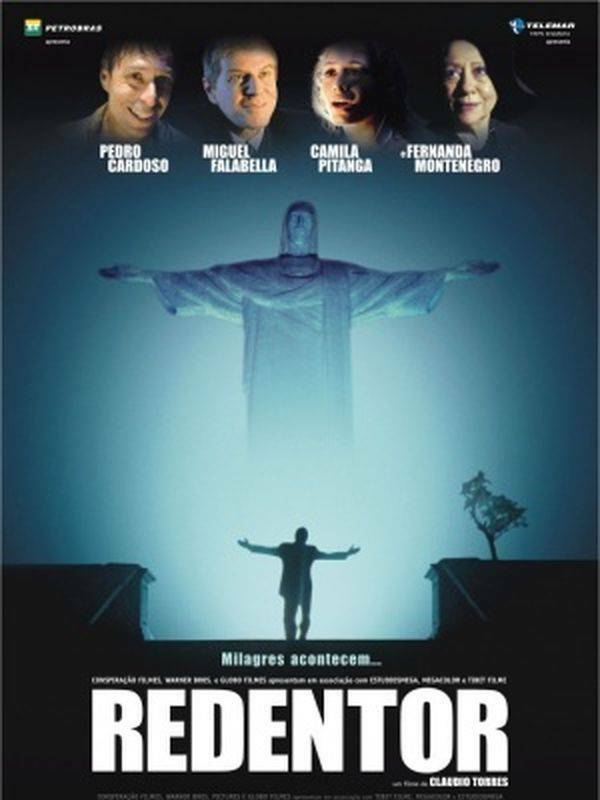 But in a general way this film does not put forward the statue of Christ, it is just the action of the film that takes place in Rio, so at a moment it is necessary that we see it. The sinopsis takes up the history of Shakespeare, but applied to our days. In the United States, in Verona Beach, two wealthy families are waging a terrible war. 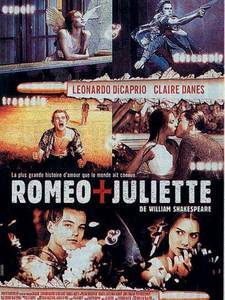 Tybalt, adored nephew of Lady Capulet, surrounded by his henchmen, dressed in black, regularly confronts the clan Montaigu, of which Roméo is part, little concerned by these family stories. Besides, he was present at a party given at the Capulet's. There he falls madly in love with Juliette, the daughter of the house. His feelings are reciprocal. The two lovebirds quickly called on Brother Laurent to marry them. Mercutio, a friend of Romeo, takes a quarrel with Tybalt. 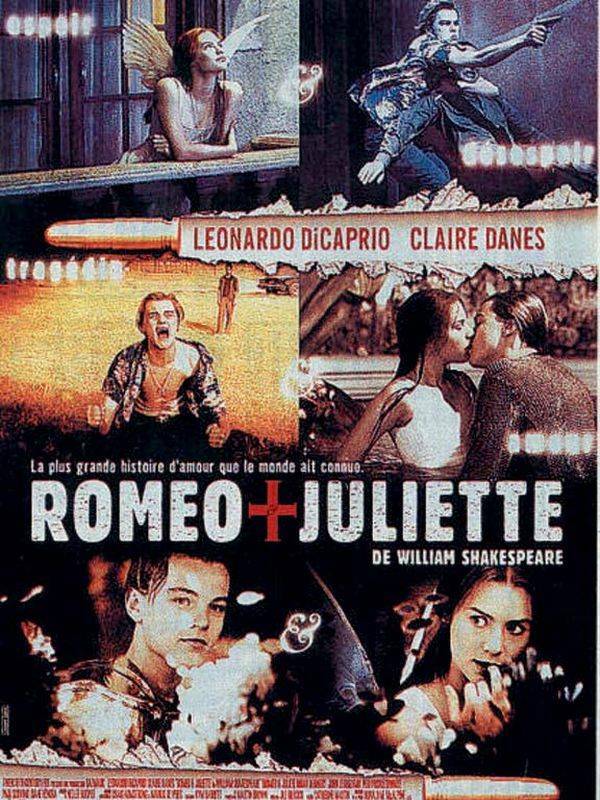 Romeo attempted to intervene, but soon could only weep for the death of Mercutio and draw a striking vengeance. The Twilight film series tells the story of Belle, a young girl who has come to live with her father in a small town in the North of the United States, and the two pretenders that she will discover as a member of a clan each other for generations. These are fantastic films. 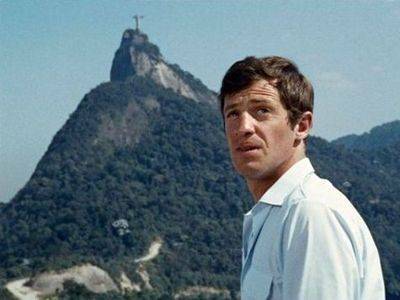 This 4th episode brings Belle and her lover on a beach in Rio, Christ the Redeemer is clearly visible at its summit. Unfortunately the special effects are not terrible in this regard. 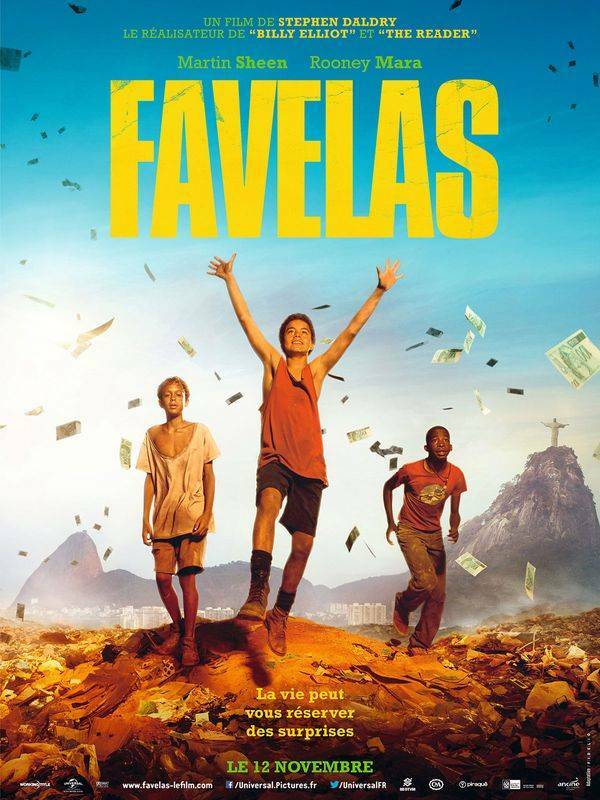 British-Brazilian film of 2014, it was realized by Stephen Daldry in the favellas of Rio, at least they were reconstituted. 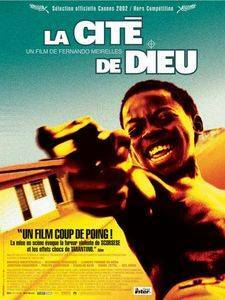 One follows the pursuit pursued by two children from the slums of the Cariocas and a group of police for the recovery of a portfolio found in a landfill, a wallet containing a pass for a mysterious enterprise where corruption and financial delinquency prevail. 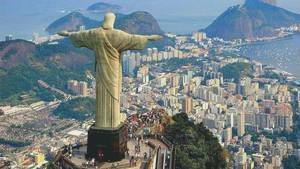 As the film takes place in Rio, there are plans on Christ the Redeemer in it. 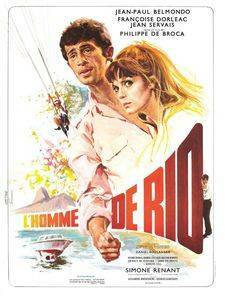 All the interest of this film is the exceptional game of Jean-Paul Belmondo, then young first, allied to the know-how of Philippe de Broca. 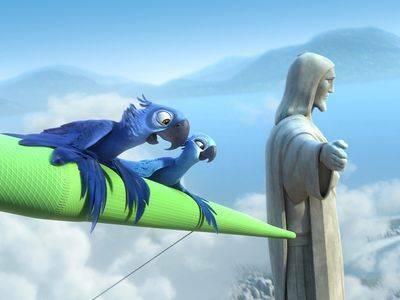 The film takes place almost entirely in Rio, Christ the Redeemer is visible several times. 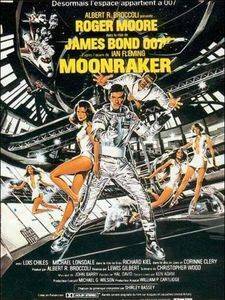 Moonraker is a spy movie featuring the character of James Bond, then interpreted by the phlegmatic Roger Moore. If the scenario is original but a bit wacky, the action is, as often happens, a rendezvous and highlights an aging hero struggling with a captain of space industry. 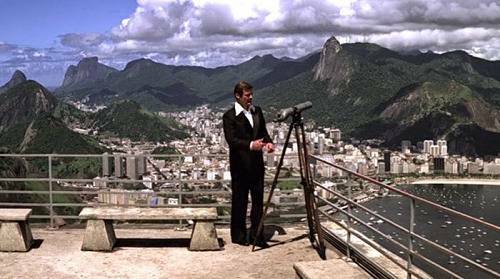 James Bond will have the opportunity to go on the Sugar Loaf on which will take place a dizzying scene, but while he is quietly there a plan shows the Corcovado and his redeeming Christ. 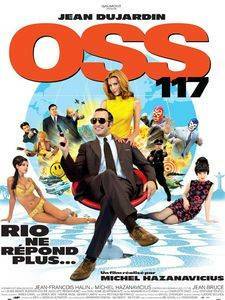 Second opus of the exploits of Hubert Bonisseur of the Bath version Jean Dujardin, this film with the pupae look resumes the mimics of the first (In Cairo, 20 years before). As its name indicates it takes place essentially in Rio. One of the interests of this film, apart from the comic, is that it ends on Christ the Redeemer, on the arms, where one of the characters will disappear. The scene lasts for about ten minutes and allows to see the monument up close. Film quite strange as this Redendor. Dating from 2005 and was realized by Claudio Torres. 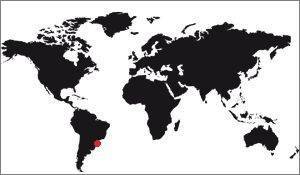 It is a purely Brazilian production. Virtually unknown in Europe, it is a mystical film, a kind of fantastic tale largely awarded in many Brazilian festivals. The film tells the confrontation between two personalities that all opposes, a poor fervent Catholic and a rich man, far from any religious sentiment. The narrative starts from the principle that God was seen by the poor man and this is the starting point of this film to the aesthetic lick. Being both Brazilian and openly pro-Catholic, this film could not ignore Christ the Redeemer of Rio, which is the emblem of the poster. This film punch dates from 2003, it was realized by Fernando Meirelles and Kátia Lund. The story takes place in a favellas of Rio, one follows the peregrinations of two young boys confronted to the violence of their places of life. One protects himself by moving away from this violence, the other precipitates himself on the contrary. The Corcovado is visible several times in this violent film, but beneficial.